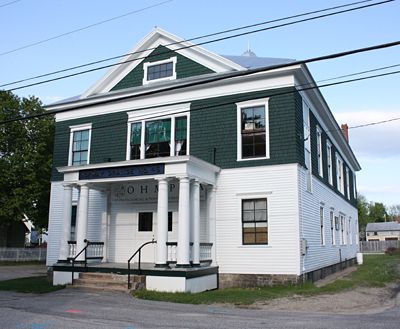 The Norway Grange #45 is located at 15 Whitman Street, one block off Main Street in Norway, Maine. There is parking in the town parking lot behind the Grange, as well as along Main Street. Recent Grange updates include a "stair chair" for those who have difficulties climbing the stairs to our second floor theater.